Bats appear much larger in flight. 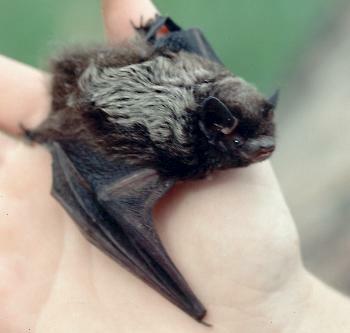 This Big Brown Bat has a wingspan of 36 cm. (14 inches) but only weighs as much as a small mouse. 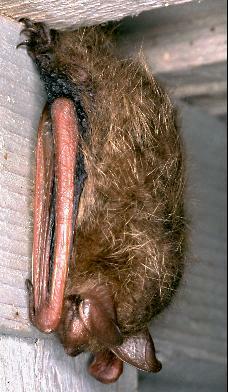 Big Brown Bat: note broad, sparcely furred nose. 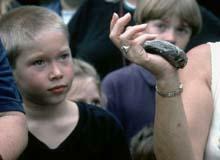 Big Brown Bat 18 g.
Little Brown Bat 8 g.
Eastern Pipistrelle: note the pale forearm. 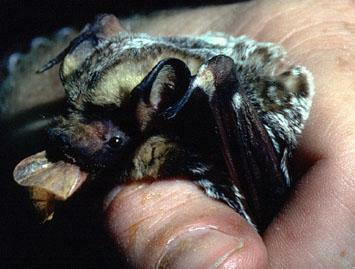 This tiny bat only weighs as much as a Canadian one dollar coin. Silver-haired Bat: note pudgy face and well rounded ears. 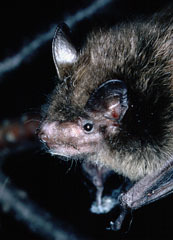 Silver-haired Bat: note dark pelage and silver "cape". 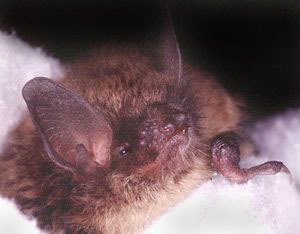 Little Brown Bat: note long pointed ears and narrow snout. The "thumb" is apparent in this photo. 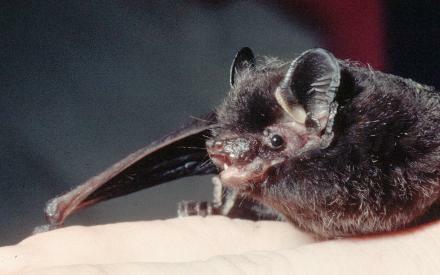 Hoary Bat: note distinct black edging to ears and grizzled fur.